Our annual speed mentoring event provides informal and formal ‘one-night only’ networking opportunities. 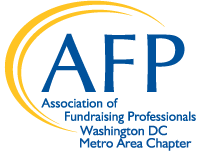 Hosted by the Membership Committee’s Mentoring Program and our Young Professionals, African American, and LGBTQ+ Affinity Groups, this event is designed for all current AFP DC members! In an 1-1 setting, seasoned professionals and those newer to the field will have the opportunity to share advice, ask and answer questions, and discuss career paths. All registrants are required to complete a short survey to help our event organizers suggest groups of mentors/mentees based on the characteristics of attendees.